The following Adepts from The Visayan Eskrima Guild are slated to offer instruction during this 1st Annual Martial Arts Hall of Fame event: Chris Suboreau, Keenan Williams, Wade Williams and George Yore. 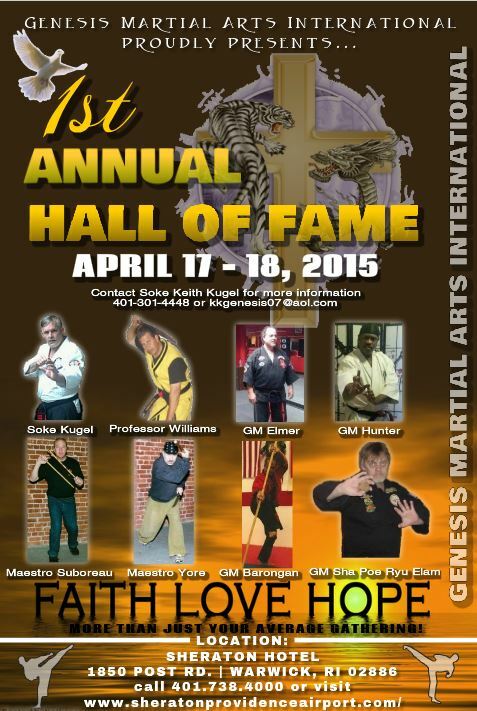 We sincerely thank Soke Keith Kugel for his invitation and look forward to a most successful event in Rhode Island. See you in April. Copyright © 2014 by George M. Yore, & The Visayan Eskrima Guild, All Rights Reserved.